When you show the determination and ability to achieve success, GROHE will promote and develop you -- no matter your gender, age, or religion. The main aspect is the entrepreneurial spirit. I can act as if I were running my own business and this is something that I enjoy very much. We have a very team-oriented atmosphere but in brief, I would define it as follows: GROHE both demands and develops. The last time was in fact yesterday when I was with my assistant. I opened a letter addressed to “Mrs” Bußmann but then it started with “Dear Mr Bußmann”. I guess that shows that even today it is still extremely rare to find a woman in the sanitary industry. What is your vision for the future of GROHE and where do you see the biggest challenges in the years to come? 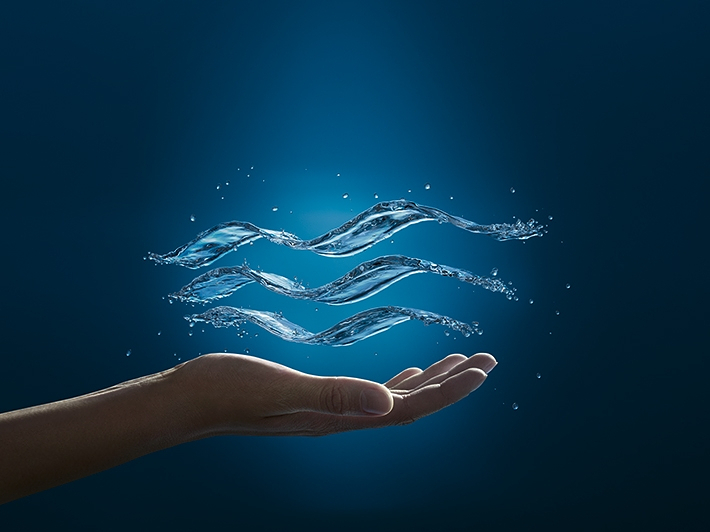 Our vision for 2020 is to lead the industry with the most intelligent water management solutions and I believe this is also where our biggest challenges lie. We will enter completely new product segments, for example ceramics. This is something totally new for our logistics, our sales teams and all our employees. There is a lot we need to learn but we are looking forward to it, because this will also turn into additional revenue and success. GROHE has developed me a lot over the past ten years. I started by setting up the Key Account Management, something that previously didn’t really exist. I was then given the responsibility for our sales subsidiary in Germany and all of a sudden, I was no longer responsible for 6 but for 150 employees. That was a great learning curve and, thanks of course to the support of my superiors, my colleagues and my team, I have managed to become who I am today: the managing director in four countries. Outside of work, I have a family who is happy when we can spend some more time together. Other than that, I like to go running, mainly long distance, and I also enjoy dancing. You are managing GROHE’s strongest sales region. What is your key to successfully making this growth happen? The key to success is the right team. And where possible, a lot of specialists in the different segments. Our strategy is also to work closely with our customers and to determine where we have common areas of potential growth, to create a win-win-situation for everyone. This has proven very successful over the years and we have managed to build up a lot of strategic partnerships that have accelerated our growth. What is GROHE doing to open up management positions for women? I would put this question differently: at GROHE, you are being developed when you demonstrate achievements and success, regardless whether you are a man or a woman. The only thing that matters is performance, not your gender, age or religion. This is very good and cannot always be taken for granted. The EUPHORIA shower system. We pretty much invented it in a workshop, together with our product management, operations and sales teams. We had identified a gap and came up with the idea for this product and have now had great success with it, also against our competitors. I have installed it in my own bathroom. Probably I am one of the few women who stands under the shower every morning, not caring whether their hair gets wet or not. I simply love it each and every day.